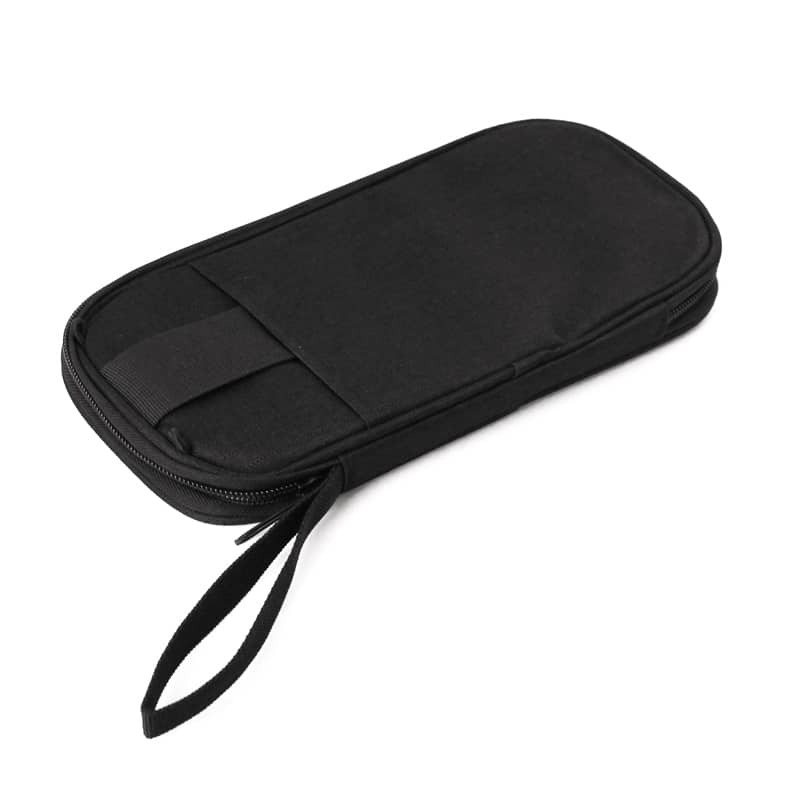 Zippered foldover travel wallet. 7x InterBusiness card size slip pockets. 1x Mid size slip pockets. 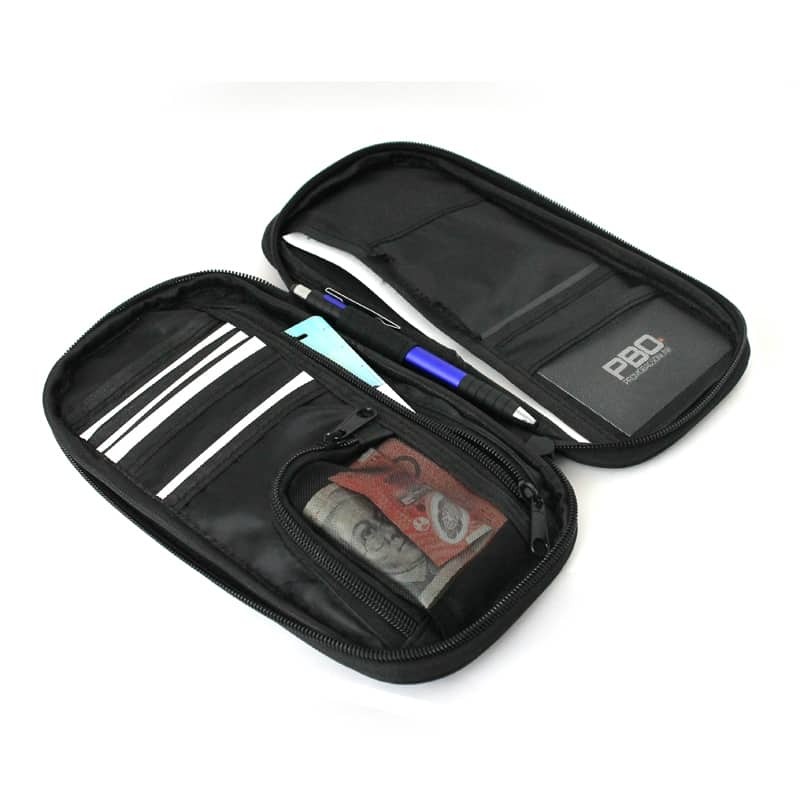 1x Large slip pocket with dividing wall. 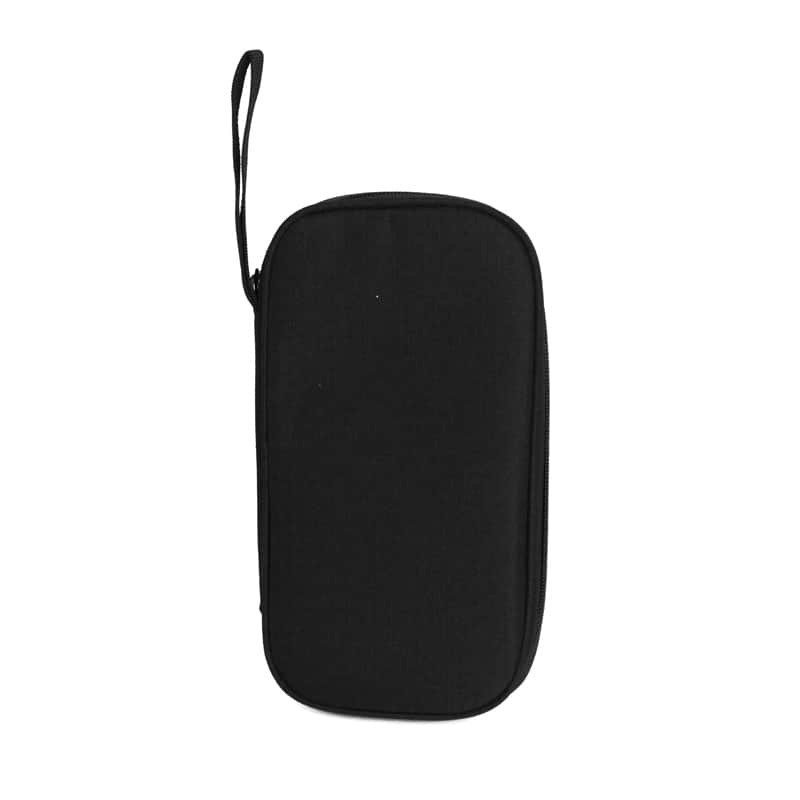 1x Mesh slip pocket. 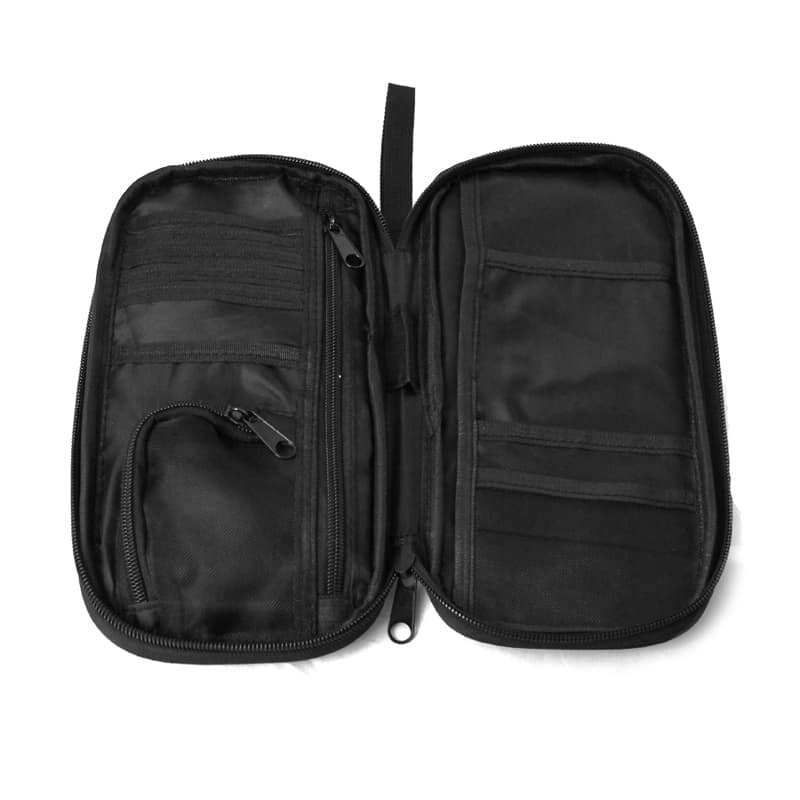 Large zippered pocket. Zippered mesh coin pocket. Internal elastic pen loop. 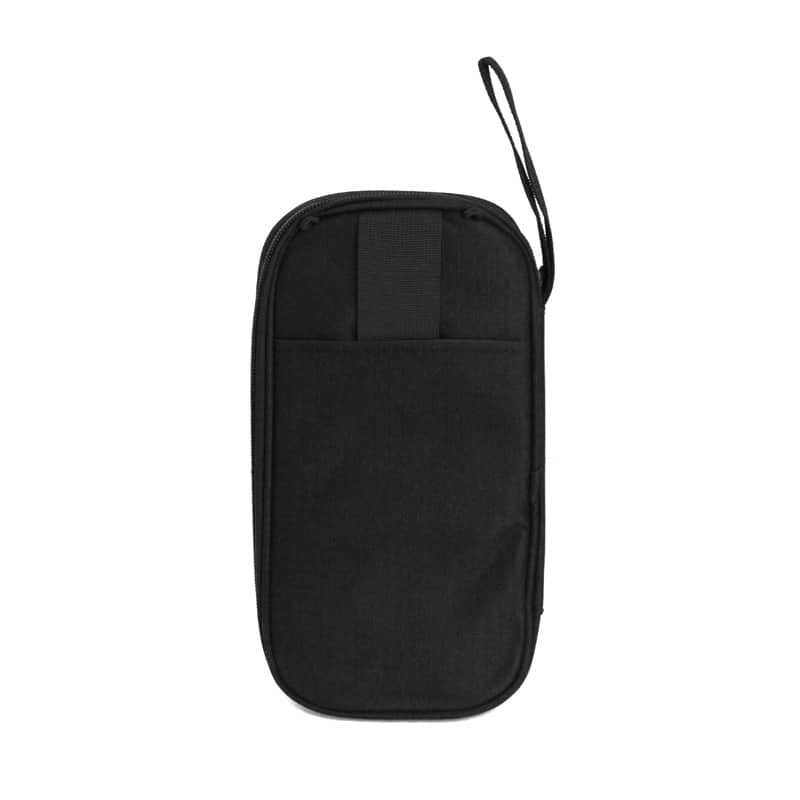 Webbing carry grip & slip pocket on back panel. Small webbing loop handle.